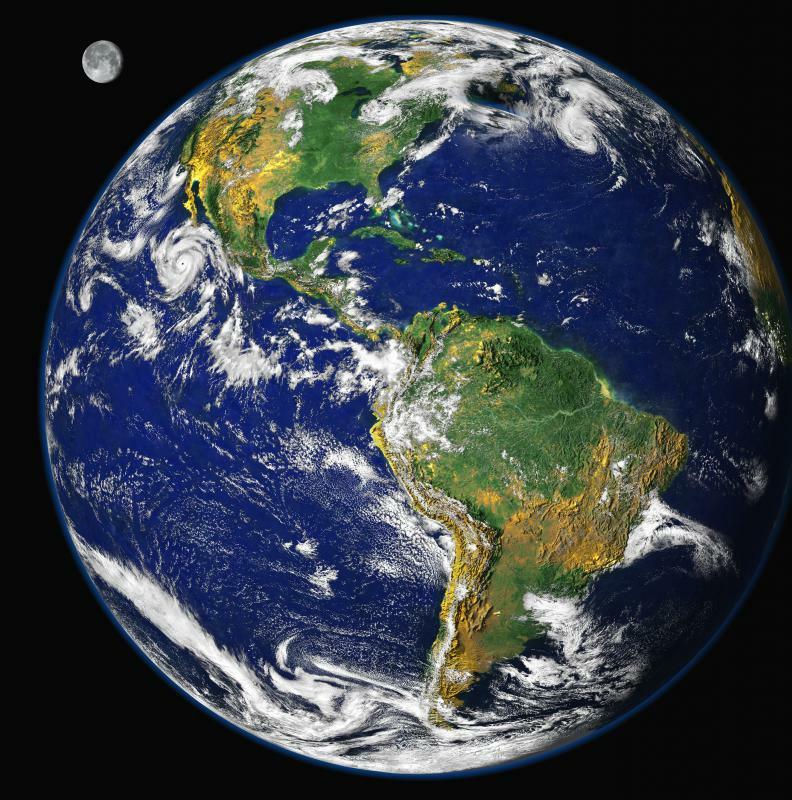 Much of the Earth is covered in water. 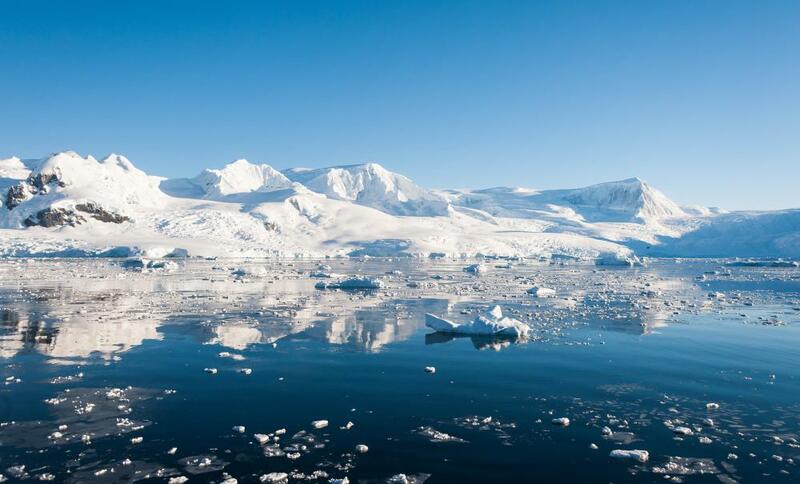 Antarctica contains the driest places on the planet. Though deserts are dry, they are not as dry as places in Antarctica. The driest place on Earth are certain areas of Antarctica, especially the polar plateau, which receives little to no precipitation, and when it does occur, only in the form of fine ice crystals and no more than a few cm a year. The driest place in Antarctica known (lacking an ice cover) are the McMurdo Dry Valleys, which, due to strong gusts of dense wind, are very sparse in surface moisture. If an animal such as a seal dies here, it becomes mummified for decades, as there is very little native life to decompose it. The McMurdo Dry Valleys are being extensively studied by scientists, who compare the climate to that of Mars. Another driest place is the Atacama desert in Chile, some parts of which have received absolutely zero precipitation in centuries. Parts of the Atacama desert may actually exceed the dryness of most of Antarctica, though data from the latter is insufficient to tell. The Atacama desert is so dry that mountains of height 6,885 m (22,590 ft) have no glaciers, making them unique in the world. Studies have shown that the Atacama desert received no appreciable rainfall between 1570 and 1971, and some ancient riverbeds appear to have been dry for 120,000 years. Like the McMurdo Dry Valleys, parts of the Atacama desert have been compared to Mars, and have actually been used to film extraterrestrial scenes in science fiction movies. The driest place of all in the Atacama desert is the high coastal crest-line, which receives no marine fog whatsoever. The entire desert is created by a "rain shadow" caused by the Andes mountains to the west, which absorb all moisture before it can reach the area. In 1569, Alonso de Ercilla, a Spanish soldier, wrote "Towards Atacama, near the deserted coast, you will see a land without men, where there is not a bird, nor a beast, nor a tree, nor any vegetation." The driest place in the desert is so devoid of life that no microbes whatsoever can be detected in the soil. What is a Desert Spoon? What is a Jerusalem Thorn? What is a Desert Tree? @ Istria- While the Altacama is likely the driest desert on earth, it is definitely not the hottest place on earth. That award would probably go to an area in the Libyan Desert. The meteorological station in El Azizia once recorded a temperature of 136 degree Fahrenheit in the shade. This is the hottest official atmospheric temperature ever recorded. The temperature was recorded in a small box that was ventilated on all sides, with the thermometer placed about five feet off the ground. I can only imagine the misery of standing in the direct sunlight on that day. It's definitely worse than the 115 to 120 degree record temperatures recorded in my home town of Phoenix Arizona. 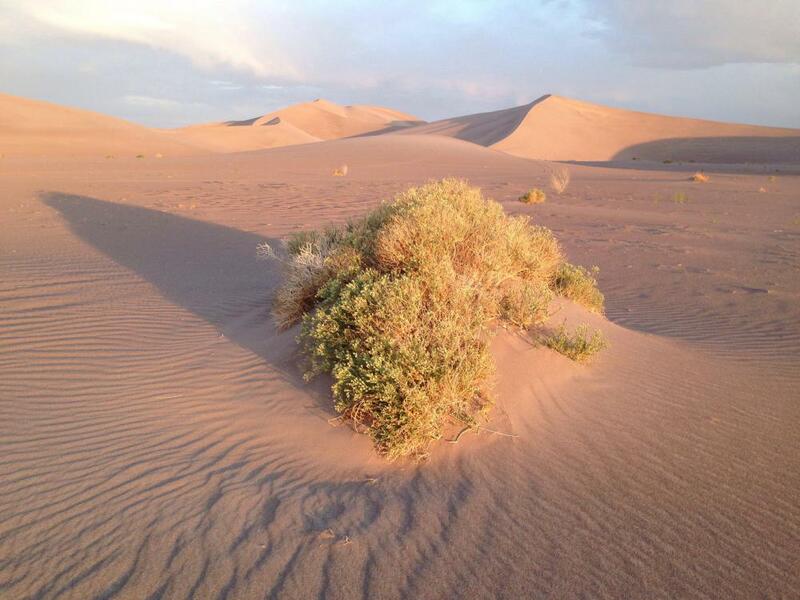 Believe it or not, the Altacama desert is actually a cold desert. The average temperature in the Altacama is between 25 to 75 degrees Fahrenheit. The desert is a mostly high desert, and the elevation causes the desert to be pretty cold. The Altacama is a desert where the elevation is over 8000 feet, and can reach as high as the 20,000 foot range. This makes for some cold temperatures. Not as cold as Antartica’s deserts, which I think are actually the coldest places on the planet, but definitely a dry, bone chilling cold. The Altacama Desert seems like a horrible place. I wonder if it is equally as hot as it is dry. You would think that a desert so dry would also be one of the hottest places on earth too. Does anyone know what the temperature is like in the Altacama?